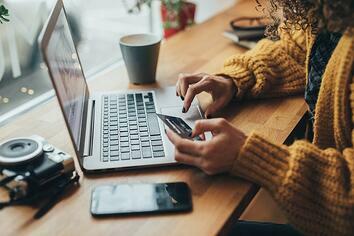 While online shopping can make your life easier and add more convenience, there are some items that you should show caution when purchasing online. Here are a few of those items that deserve a little more work an research on your part. While researching different mattress options online is a great idea, unless you are familiar with the brand, you should try out a mattress in real life before you make a purchase. Since we spend about, on average, a third of our lives sleeping, you’ll want to use due diligence to make sure you select a mattress that is going to work for you. Nobody likes dealing with the sometimes pushy car salespeople, but, unless you are using a reputable site, purchasing a car online without checking it out or taking a similar model out for a test drive could leave you with more than you bargained for. If the car turns out to be a lemon, it’s much easier to work with the dealership to fix the situation than with some person online. Buying furniture sight unseen can lead you to end up with something that you’re not happy with. Colors and quality can look different on a monitor or screen compared to real life. Checking out the furniture in person will help ensure the color, the size, comfort, and quality. There’s also the potential for purchasing furniture online to cost more because you may have to pay shipping costs on top of the existing delivery price. In store, you may also be able to haggle the price a little, something you can’t do when you buy online. If you do have to buy something online, make sure you know what the return policy is in case something goes wrong. If a deal on the internet seems like it's too good to be true, it probably is. Never give out your debit or credit card information unless you are 100% sure you are on a credible website. Look in the address bar for the lock that ensures the website is secured.